The spoils of our toils. Sweet piece of hardware. Trail running at elevation is very hard. And trail running at elevation in the dark? See thoughts 1 and 2. Like a regular Ragnar Relay (if such a thing exists), Ragnar Trail features teams of runners each tackling three legs day and night until the course is complete. The last Las Vegas road race started in snow on Mt. Charleston, took us through a freezing night in the lonely desert and to the shores of Lake Mead. This race would be different. Held just outside Zion National Park in the stunning scenery of Southern Utah, Ragnar Trail ditched sidewalks and paved paths for ATV trails and mountain bike single track. Crews of eight runners cycled through three different color-coded routes all of which started and ended at the same base camp surrounded by 200 teams in tents and sleeping bags. I thought I had trained enough. In fact, after notching a 10-mile run on McCullough Hills Trail—a dusty, hilly, exposed jaunt through Henderson, Nevada—I might have even uttered the words “Ragnar’s going to be a breeze,” to a training buddy. Windy? Yes. Breeze? Not so much. I realized about 10 minutes into my first run that I had this race all wrong. This wouldn’t be a relaxing jog through the woods; this was a calf-killing, breath-sucking adventure in endurance. This would require climbing 500 feet in a single mile, cresting a ridge at 7,000 feet and taking on steep, curving descents that felt like Mario Kart in sneakers. Like all Ragnar Relays, it would be incredibly challenging. And like all Ragnar Relays, it would be incredibly rewarding. 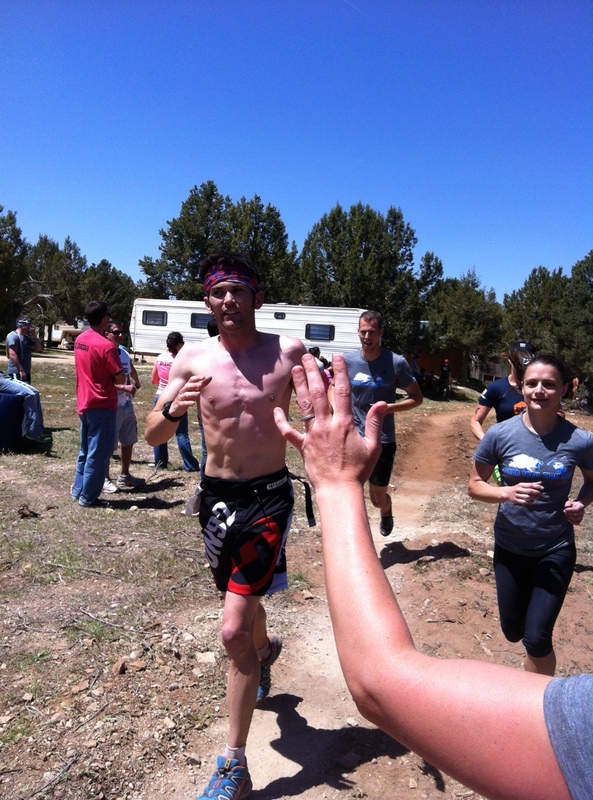 Twenty-two hours after our first runner took off, Jathan makes for the finish line at Ragnar Trail Relay Zion. And Ragnar Trail Zion had a little extra magic to it. Along with gorgeous sunny weather and a clear, starry night, we had 12-hour bonfires, a man with a handlebar mustache singing campfire songs, pancake breakfast, a few hours of sleep and flush toilets(!). My team even had a homemade Eskimo-kissing booth set up for those fun between-run hours and Christmas lights strung up on our tents. It took 22 hours for my team of eight to complete the 120 miles through Zion Ponderosa Ranch. When we ran across that finish line together, we were hot, stinky and mostly exhausted, but we were smiling. Ragnar Trail will do that to you. Great piece! 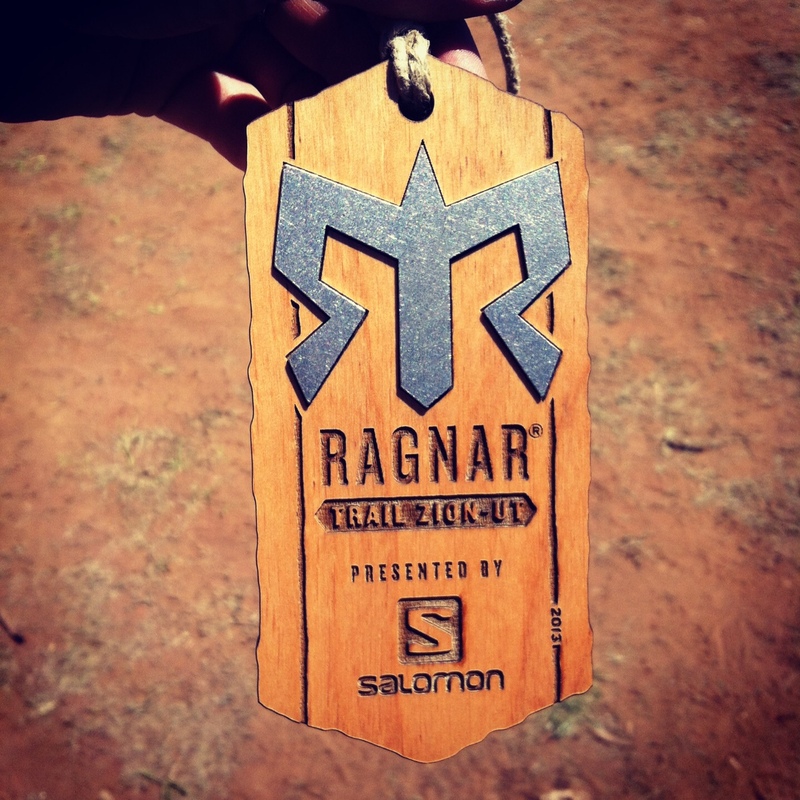 I am running my first Ragnar Trail in two days then I’ll be a member of the Ragnar club. I always love reading stories like this one. Prepare to be addicted, Kurt. And really sore. Nice article Sarah! You are a rockstar so to hear this from you makes me not feel as bad. Hardest thing I have ever done. Yet fun too.